Springfield Armory PC9111 Professional 1911-A1 Custom 45 ACP Pistol With Novak Tritium Night Sights & 6 Mags. CRG Serial Number. This is the most difficult-to-obtain Springfield pistol. Born out of the Springfield FBI contract, the Professional is the highest pistol produced by Springfield for the civilian market. It truly is the best of the best. Traditional 1911 lovers will appreciate this model as faithful model of the original 1911, no tactical rails or lightweight frames ~ just premium upgrades to original classic. 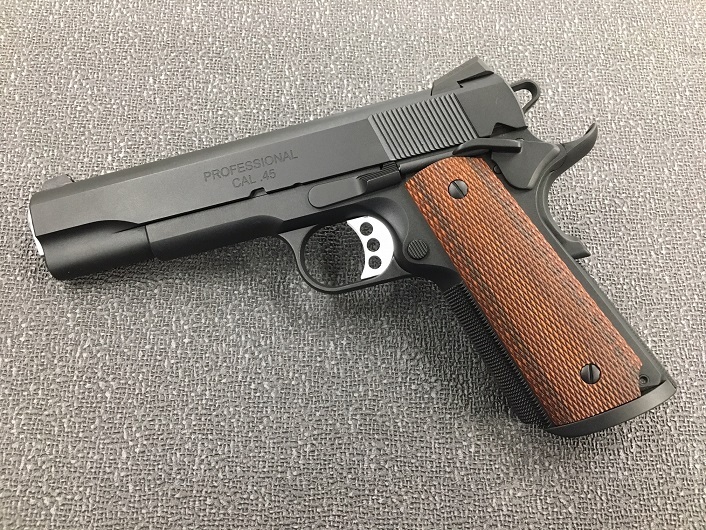 Give us a call if you are interested in the Springfield 1911 Professional Pistol.